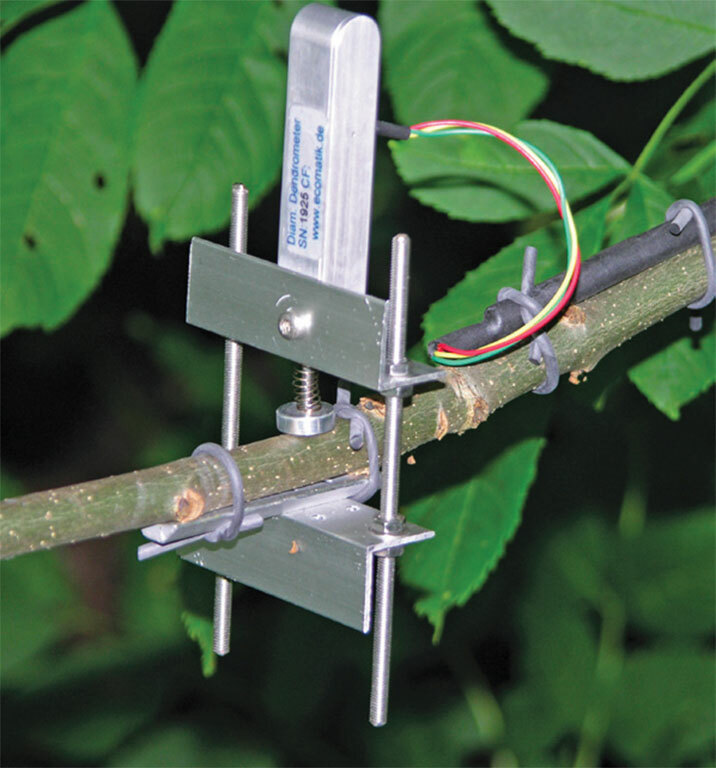 Dendrometers are sensors for continuous measurement of plant growth (changes of the plant diameter). The dendrometer allows us to record the plant parameters using the same time interval, as environmental parameters. The data, therefore, allows the direct assignment of plant responses and stress to environmental influences. Dendrometers are a cost-effective and useful tool for ecophysiological studies.